Guys, tell me please how to add Mannpower support to a hud. NoFapGuys, tell me please how to add Mannpower support to a hud. Looking at the latest commit to the base HUD (thanks Mana), you need to add the PlayerStatus_ runes that point to /Effects/powerup_[rune type]_hud - but there's no Effects folder? 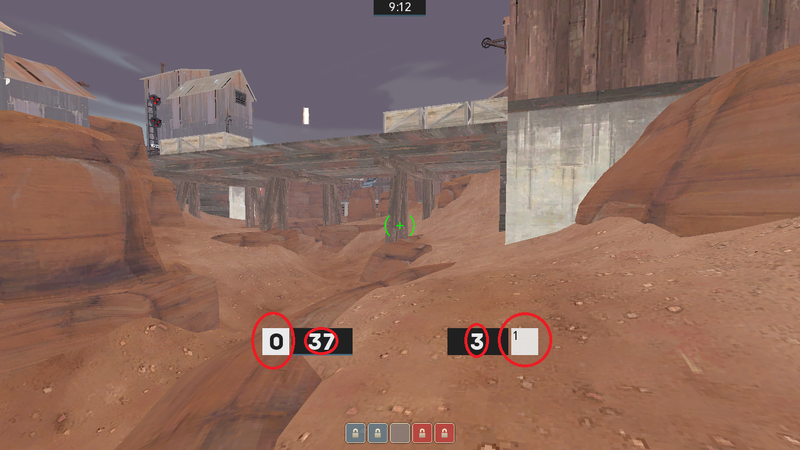 Looking at [url=https://github.com/MFSTATE/tf2basehud/commit/39a57e4d517cb4af2bf86d04b83b4818250d7f04]the latest commit to the base HUD[/url] (thanks Mana), you need to add the PlayerStatus_ runes that point to /Effects/powerup_[rune type]_hud - but there's no Effects folder? DrJeremy NoFapGuys, tell me please how to add Mannpower support to a hud. I might've accidentally just left it out. I'll take a look either tonight or tomorrow night. DrJeremyyou need to add the PlayerStatus_ runes that point to /Effects/powerup_[rune type]_hud - but there's no Effects folder? The "../" at the start of the directory means 'go back a folder'. So the actual directory for the materials would be "materials/effects/" instead of "materials/vgui/effects/". [quote=DrJeremy]you need to add the PlayerStatus_ runes that point to /Effects/powerup_[rune type]_hud - but there's no Effects folder? mana DrJeremy NoFapGuys, tell me please how to add Mannpower support to a hud. Halp I might've accidentally just left it out. I'll take a look either tonight or tomorrow night. To look into a vpk, you need GCFScape, and if you look in tf\tf2_misc_dir.vpk, you can extract the rune icons from materials\effects like JarateKing said. I think if you put them into a custom HUD's resource\Effects folder you'll be good - but you might need the vtfs as well. DrJeremy mana DrJeremy NoFapGuys, tell me please how to add Mannpower support to a hud. I don't understand what you guys are trying to do anymore, adding Mannpower support to a hud or what? Are you guys for real? If you want to add Mannpower support, literally add this into your resource/ui/HudPlayerHealth.res file. You don't need the effects folder at all. omniAre you guys for real? If you want to add Mannpower support, literally add this into your resource/ui/HudPlayerHealth.res file. [quote=omni]Are you guys for real? If you want to add Mannpower support, literally add this into your resource/ui/HudPlayerHealth.res file. I'm having a little trouble with buttons, namely the ones that change pages in the backpack menu. I want the button when selected to be square and a different color, how do I do this? RawrsorI'm having a little trouble with buttons, namely the ones that change pages in the backpack menu. The selected page color is brown since the new update, for some odd reason. I couldn't find where this section was controlled, so i deleted the background of the page numbers. [quote=Rawrsor]I'm having a little trouble with buttons, namely the ones that change pages in the backpack menu. Does anyone know which .res files should I edit to change the font of the circled text? ninjajiroDoes anyone know which .res files should I edit to change the font of the circled text? 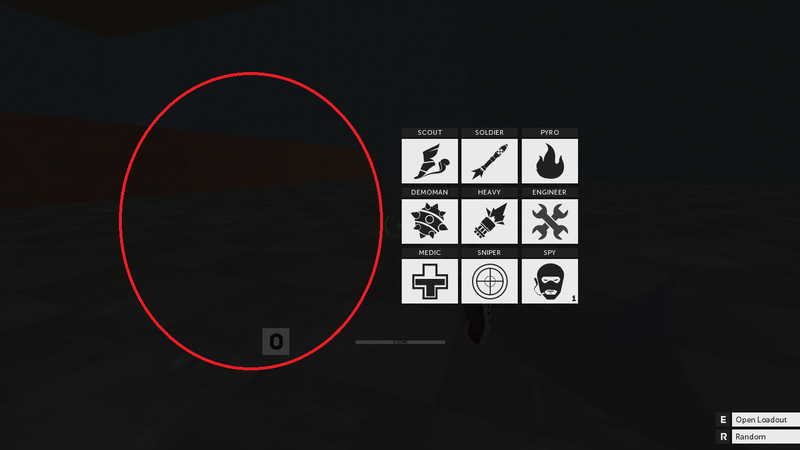 First of all you need to add the training folder to your hud, you can take it from the base hud files and then you have to edit the modepanel.res in the modeselection folder. If i'm not wrong you need to edit the "ModeNameLabel"
[quote=ninjajiro]Does anyone know which .res files should I edit to change the font of the circled text? Hypnotize ninjajiroDoes anyone know which .res files should I edit to change the font of the circled text? Where would I find the training folder? [quote=Hypnotize][quote=ninjajiro]Does anyone know which .res files should I edit to change the font of the circled text? ninjajiro Hypnotize ninjajiroDoes anyone know which .res files should I edit to change the font of the circled text? [quote=ninjajiro][quote=Hypnotize][quote=ninjajiro]Does anyone know which .res files should I edit to change the font of the circled text? Hypnotize ninjajiro Hypnotize ninjajiroDoes anyone know which .res files should I edit to change the font of the circled text? Thanks, it was Desclabel that I had to tweak but thanks a bunch! [quote=Hypnotize][quote=ninjajiro][quote=Hypnotize][quote=ninjajiro]Does anyone know which .res files should I edit to change the font of the circled text? I am pretty sure it is simple thing to do. Please send a private message, easier for me to find em! Does anyone how to make the control point look like this? Specifically, I'm trying to disable the "times"(x2/x3) symbol that normally shows up when more than one person is capping. ninjajiroSpecifically, I'm trying to disable the "times"(x2/x3) symbol that normally shows up when more than one person is capping. broesel realised this by creating a font file that only contains numbers and nothing else (Surface-Numbers.ttf). The x doesn't get displayed because it's not defined in the font. Of course clientscheme.res and controlpointicon.res have to be edited accordingly. So it's not exactly easy to implement in another HUD. f_blue ninjajiroSpecifically, I'm trying to disable the "times"(x2/x3) symbol that normally shows up when more than one person is capping. broesel realised this by creating a font file that only contains numbers and nothing else (Surface-Numbers.ttf). The x doesn't get displayed because it's not defined in the font. Of course clientscheme.res and controlpointicon.res have to be edited accordingly. So it's not exactly easy to implement in another HUD. Why bother loading another font when you can either just replace the tf_english definition (remove the x) or for a lasting solution just edit the capnumplayers label text to just %numcappers%. In my opinion editing tf_english is a no-go because the file contents change too often. Labeltext %numcappers% doesn't work the way you think. "fgcolor_override"	"0 0 0 255"
Don't run a "modified version" if you don't know how to edit stuff. Sorry to be this rude but I've seen so many people like you and it doesn't make sense to me at all. I even explained that changing one file is not enough for the matter at hand and you still ask this stupid question. Just use an updated version (broeselhud 2.9 or broeselhud_blue). It's easier to replicate your modifications than editing all the updates into your version. What you are missing is the font file or the font definition in clientscheme.res by the way. f_blueDon't run a "modified version" if you don't know how to edit stuff. Sorry to be this rude but I've seen so many people like you and it doesn't make sense to me at all. I even explained that changing one file is not enough for the matter at hand and you still ask this stupid question. Just use an updated version (broeselhud 2.9 or broeselhud_blue). It's easier to replicate your modifications than editing all the updates into your version. Okay, but I have learned how to edit things correctly using rays' tutorials and also doodles' tutorials. I have the "surfaceNumbers18" definition in clientscheme.res. I've also tried using broeselhud_blue but the "x" symbol still appears. [quote=f_blue]Don't run a "modified version" if you don't know how to edit stuff. Sorry to be this rude but I've seen so many people like you and it doesn't make sense to me at all. I even explained that changing one file is not enough for the matter at hand and you still ask this stupid question. Just use an updated version (broeselhud 2.9 or broeselhud_blue). It's easier to replicate your modifications than editing all the updates into your version. Okay, good for you then. Take it as a general rant, I'm too sensitive regarding the issue I explained. The CapNumPlayers without x works for all broeselhud users, so the problem is somewhere on your end. My last guess: Do you have Mac OS? Some fonts are incompatible with Mac OS, it could explain your problem.